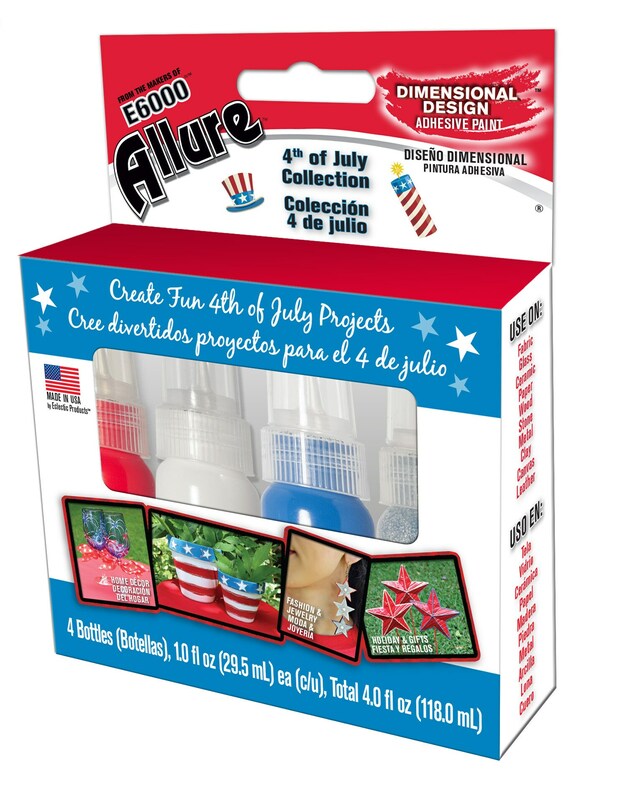 Eclectic's Allure Holiday Collections Paint (in Red, White, Blue Gloss with an additional Silver Glitter) is a permanent, multi-dimensional adhesive paint. Made from pure pigments, our paints give your projects incredible vibrancy. Whatever color and design combinations you can imagine - you can create! 2. Shake bottle, then tip downward. 3. Touch tip to surface and squeeze. 4. Dry flat 5 hours. 5. Washable after 72 hours.